Why should you use Elm Creek for your storm damage restoration? Storm restoration isn’t just about replacing a roof and considering the job complete. A full inspection is needed. 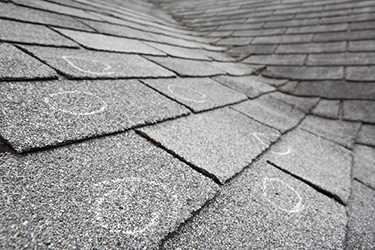 When your home sustains storm damage, your first step is to get a free inspection. Once damage is found, an insurance claim needs to be filed. An insurance adjuster will inspect the damage and file a report. This report, called an Adjuster’s Estimate, determines the scope and pricing of the job. As the homeowner, you have the right to a complete and comprehensive claim because you have paid your premiums! Elm Creek General Construction will inspect your entire property, determine the damage and needed repairs, and give you a detailed report with pictures. We offer to meet with your insurance adjuster at no cost to you. We’ll provide you with a complete scope of work so that no needed repair is overlooked. A contractor who doesn’t take this approach will not repair everything. We inspect the entire property – for free – from the chimney cap to the fence. We even look inside your home for water damage, if necessary. We will meet with your insurance adjuster when he inspects the property. We do all the work for you. You don’t have to hunt for different contractors. We discuss all damage with you and fully explain your options. We don’t ask for any money from you before we begin a job. Elm Creek only uses name brand, top quality materials like Owens Corning and GAF. Our crews are highly experienced.